Always add 5cm (2″) minimum to both the length and width of the carpet measurements. 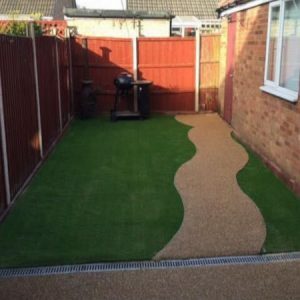 The majority of carpets are 4 metres or 5 metres in width (4mx 5m), if your room is slightly over this width don’t worry we can join the carpet professionally with heat seam tape. Do not forget CarpetWays offer a Free Measure service if you are upto 10 miles from your local store. This removes the worry of you getting it wrong! I have a red wine stain on my carpet. How do I remove it? Blot as much of the stain as possible use paper towels or a clean dry cloth. Then mix two cups of warm water, one tablespoon of white vinegar and one tablespoon of a dishwashing liquid in a bowl. Using a clean sponge dip into liquid and blot stain until stain has lifted. Repeat if necessary. 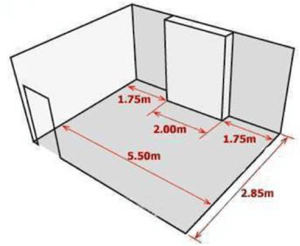 How do you measure your hall, stairs and landing? For those carpets which state they are bleach cleanable a solution of 10% bleach to water can be used to clean those heavy stain areas. Do I need to lay underlay under my laminate flooring? Underlay is recommended this flooring needs to flex and move this will give it a flooting surface. It will also help reduce the sound underfoot and also increase comfort too. Can I put furniture with castors on laminate flooring? Yes, you can put Castors on laminate floor however they can damage your flooring if the correct protective measures aren’t put in place. If possible use soft castors, to limit the damage cause it will also improve the sitting comfort (if on a chair/sofa) compared to hard castors. Otherwise use a hard floor protective mat underneath the castors. In what direction should you lay laminate? There is no right or wrong way to lay laminate it is your own personal taste. Laying the laminate in the direction of themain sourse of light into a room will elongate the room and make it look longer. Use a soft brush or vacuum cleaner to remove surface dust. Do not use abrasive cleaners, steel wool or scouring pads as they will damage your floor. For regular cleaning use a cloth ensuring it is well wrung. It is important not to apply excess moisture to the floor. Is vinyl flooring hard wearing? Vinyl flooring is extremely durable and easy to maintain, plus with its moisture, scratch and stain resistance it is perfect for high traffic rooms throughout the home. Can I fit vinyl flooring to any room in my home? Due to its water-resistance and durability, vinyl flooring is suitable for every room in the home! It is very popular in bathroom and kitchens where spills are more likely to occur. There are many benefits of Vinyl Flooring. Vinyl is extremely versatile and durable, with its great range of colours and styles which will be sure to fit in any room in your home. It is easy to clean, scratch and water resistant. You can get the look of real wood or stone without the hassle of maintenance or the expence. I aready have underlay. Is this ok? Underlay is an important extra layer that goes underneath the carpet, protecting the carpet, providing you insulation and extra comfort underfoot. With time this will degrade and trap dirt and odours. Our carpet suppliers will only guarantee the life of their products if fitted on new Underlay. Remember CarpetWays offer Free Fitting if your carpet is purchased with new underlay. Do Felt back carpet needs underlay? Feltback carpets can be fitted with or without carpet underlay. Although it is recommed that you fit the best quality underlay you can afford as it add comfort, sound proofing and it will also extend the lifespan of your carpet. What is the differnece between sound installation and sound absorption? When airborne sound arrives at the surface of a wall or floor, some of it is reflected back as an echo, and some is transmitted. The remainder is converted into other forms of energy within the material, principally heat. This is known as sound absorption. when airborne sound arrives at one surface of for example, a floor, some of it is reflected back as an echo, some of it is converted into other forms of energy within the material body, and the remainder is transmitted through the material to be radiated as airborne sound on the other side, but at a reduced level. The degree to which this reducution takes place is the sound instulation provided by the floor. Are luxury vinyl tiles suitable for the Bathroom? All of our luxury vinyl tiles are waterproof, which makes it the perfect flooring for areas such as kitchens and bathrooms. Do luxury vinyl tiles need underlay? If your luxury vinyl tile has a click system you can choose to lay underlay underneath. If its not the click system this will need to be stuck down directly to your floor. Feature strips are thin strips of LVT which are used to create grout in between the tiles to create a more authentic wood or stone look. They come in a range of colours and can be used to create a natural or unique stylish finish. What is the best flooring to be used in a kitchen? How do I make a complaint if I'm not happy with my purchase? If your order is in stock it will be delivered to you within 7-10 working days.